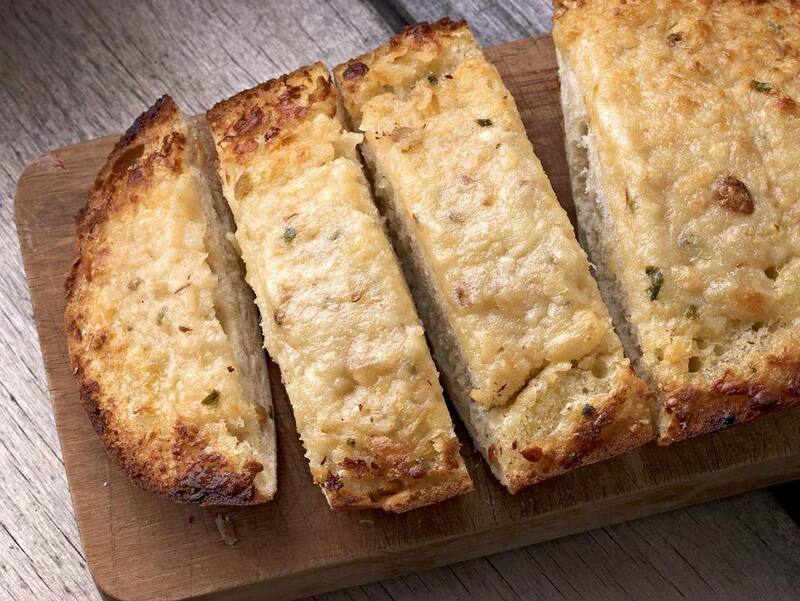 Toasted Parmesan Garlic Bread is a wonderful accompaniment to a main dish, a salad or a simple meal of spaghetti and meatballs. It's also delicious with a grilled steak, meat loaf or roasted chicken, or any Italian main dish. This simple recipe can be made with any type of bread and any type of cheese, for that matter. The last time I made this I used a mixture of Havarti and Parmesan and Romano cheeses. This recipe can be grilled when you are cooking out and it can also be made under the broiler. Make sure the broiler is really hot so the bread toasts and the cheese gets good and bubbly. It can also be made in a toaster oven. If you are toasting or broiling the bread, you can broil one side, then turn each slice over and add the cheese. Then the bread will be toasted on both sides. 1. Place the bread on a work surface. Prepare and preheat the grill, or preheat the broiler or toaster oven. 2. In a small bowl, combine the butter with garlic; mix well. Spread the butter mixture on each piece of the bread and sprinkle with the cheese or cheeses. 3. Toast in a toaster oven or broil under the broiler until the bread is golden and cheese is melted and golden brown. 4. To grill, grill one side of the bread until golden, about 2-4 minutes. Turn the bread over, remove to work surface, and spread with butter mixture. Sprinkle with cheese and return to the grill. Cover and grill until the bottom is toasted and the cheese is melted, about 2-4 minutes. Serve immediately.